Mr. Elham Gharji has a Bachelor of Arts degree in International and Comparative Politics from American University of Central Asia, and Master of Arts degree in Political Science (Central Asia) from the OSCE Academy in Bishkek. He is currently enrolled in the PhD program in International Politics and Conflict Resolution of the School of Economics, University of Coimbra. Prior to joining CES as a Marie Curie Early-Research Fellow in the CASPIAN project, Mr. Gharji worked for the Afghan Ministry of Foreign Affairs as Deputy Director General for Regional Cooperation. He also has worked as President of Gawharshad Institute of Higher Education in Kabul, where he also taught subjects in Central Asian Politics and Introduction to IR. Mr. Gharji has previously held positions in research with independent research centers, and with the Afghan government. 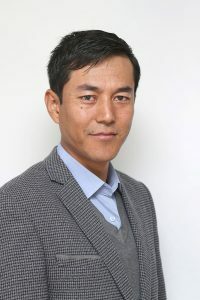 He has contributed to local and international media outlets such as the BBC Persian and has frequently appeared in national and international media to discuss political issues in Afghanistan as well as in the region.